Yes, at least it's out. A month delayed, but I had some problems with my computer and the weather have made me lazy. But now... You will as usual have a few different ways to read, download, print, trade, sell... and it's FREE to download. 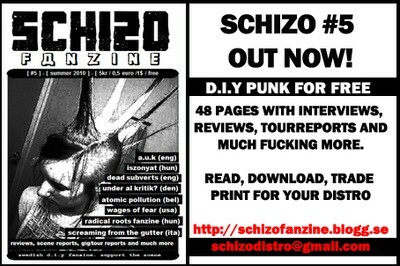 If you wanna print it for your distro or trading, don't sell it too expensive. And it's no copyrights, but it would be nice if you inform me just for my own knowledge. Please, use this ad on your website.